Shanghai-based foodie and restaurateur Lindsey Fine (aka Veggie Mama) has been creating all sorts of delicious vegan recipes since moving to China eight years ago. You can read all about the perks of eating a plant-based diet via her blog Veggie Mama and sample recipes on this series, Cooking with Veggie Mama. In this edition, Lindsey shares her recipe for Maple Sesame Mian Jin. Winter is fast approaching and it’s getting cold outside. That’s why it’s the perfect time of year for all things soup. This is my go-to soup recipe not only because it’s easy to make but because it’s delicious and healthy. 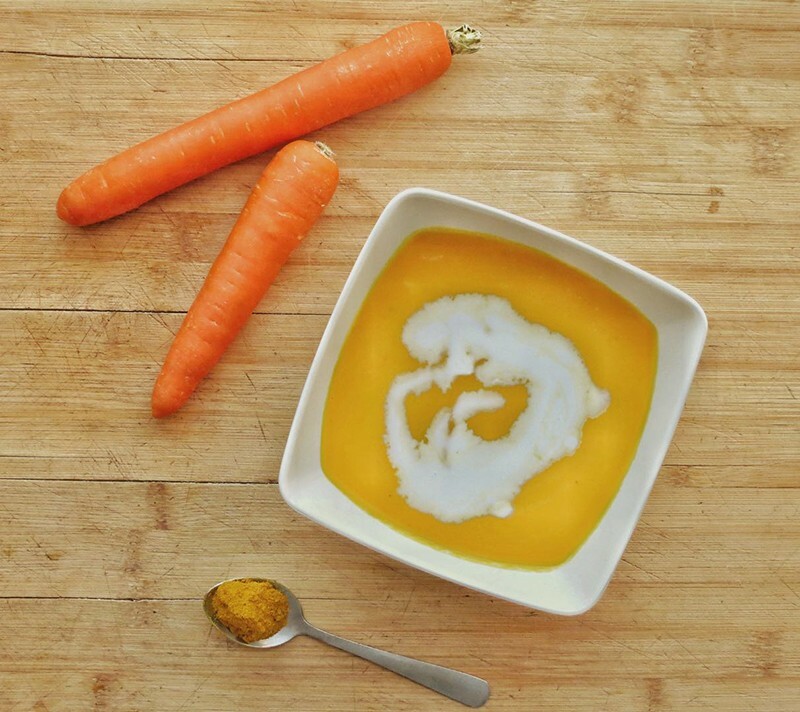 I like to add ginger and turmeric to my carrot soup. The combination of ingredients means this warming soup is packed with nutrients that will help you and your family stay healthy and full this winter. I like to make extra-large batches of my Carrot Ginger Soup so I can freeze some for later. It's nice to have a batch ready to go on those nights I don't have time to cook. However, you can easily halve this recipe for fewer servings. 1. In a heavy-bottomed stockpot, heat oil on medium high heat. Add onion, garlic and ginger until onion is translucent, about 5 minutes. 2. Add carrots, water, vegetable bullion and turmeric. Bring to a boil then reduce heat to simmer until carrots are soft, about 20 minutes. 3. Using an immersion blender, liquefy everything in the pot. Add salt and pepper to taste. A blender can also be used, just be careful to work in batches and don't fill the blender too much (speaking from experience of doing so more than once!). 4. Ladle soup into bowls and, if desired, drizzle a bit of coconut milk on top for added flavor, creaminess and flair.